Travel week again! Last day in Skopje, visiting the stunning Matka canyon and enjoying a very good Macedonian dinner. Then taking an early morning bus to Thessaloniki, witnessing a nice sunset over the mountains on the way. Day exploring Thessaloniki and getting our first taste of my new food crush, which is basically anything Greek. On Sunday we took a train through Greece to Athens, where we settled to a yet another great Airbnb apartment. 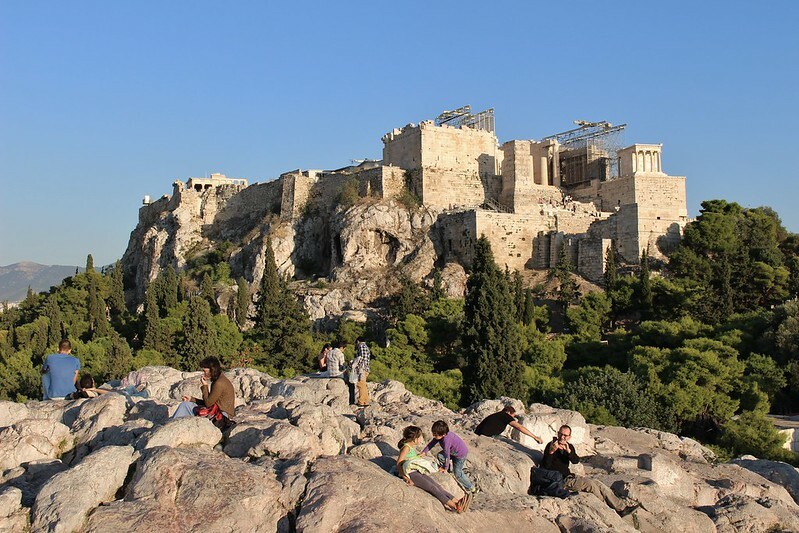 Monday was a day filled with work, although we did manage to fit in a short walk around Acropolis. From Tuesday on I've been busy with the TBEX travel blogger conference. First with some amazing pre-trips and parties, and then the actual conference. Welcome to our weekly recap! This one's for October 17th - 23rd, which is week 42, 2014. 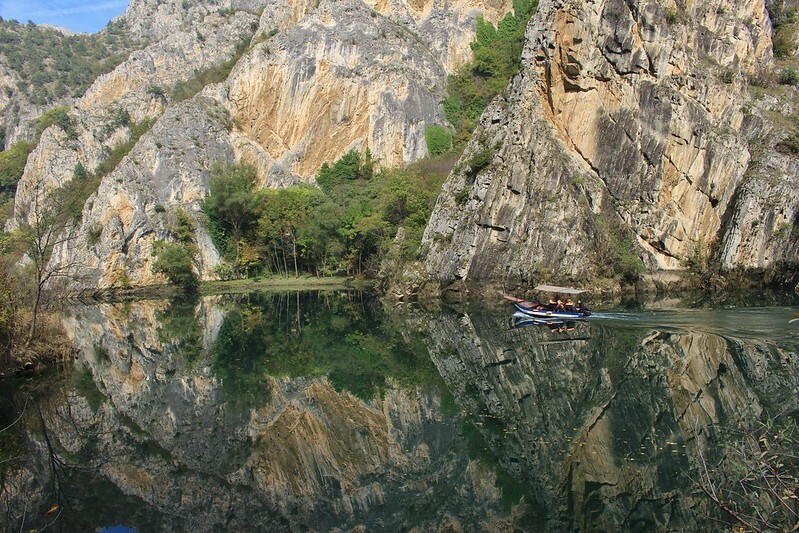 Tip of the week: Matka-canyon is a must-visit place if you ever go to Skopje. This natural wonder lies about 30 mins taxi ride from the center of Skopje (20€ for return trip, the driver waited for us there for over 2 hours. You can also catch a bus for about 0,5€ one-way, but they do not go so often, so you need to plan in advance.) At the canyon, you can take a boat tour or walk along a 6-km path along the canyon. Or you can combine these by taking the boat to the end-point of the path and walking back. The scenery is just amazing! We planned to walk just a bit of the path, but we just had to see what's around the next corner. And the next, and the next. What I've learned: I did knew this, but it still surprised me how much Turkish/Ottoman influence there is in Greece and especially in Thessaloniki. The city was under the Ottoman rule for hundreds of years, longer than the other parts of current day Greece. And it's not just the Ottoman era that shows in the city, but rather an interesting mixture of different historical periods. 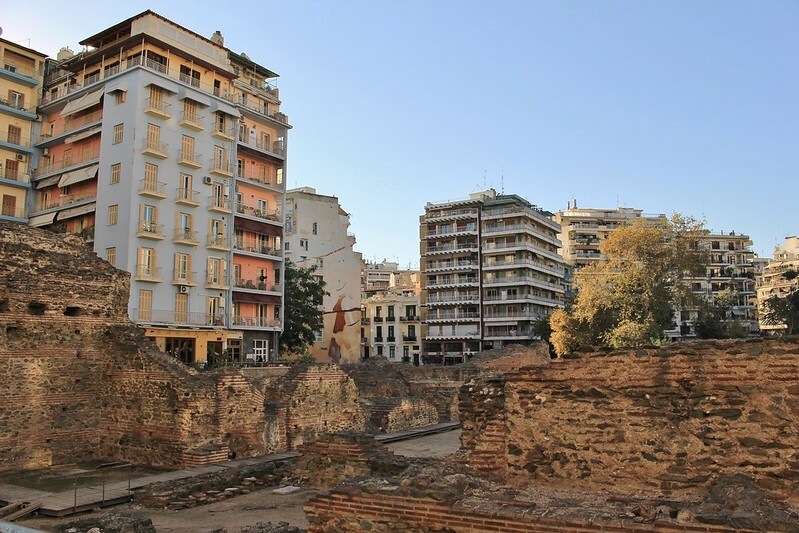 Thessaloniki wasn't so big in the Hellenistic era, but grew more prominent in the Roman time and was the most important city in the area during the Byzantine era. All these eras are still present in the city, with monuments and ruins all around the center. 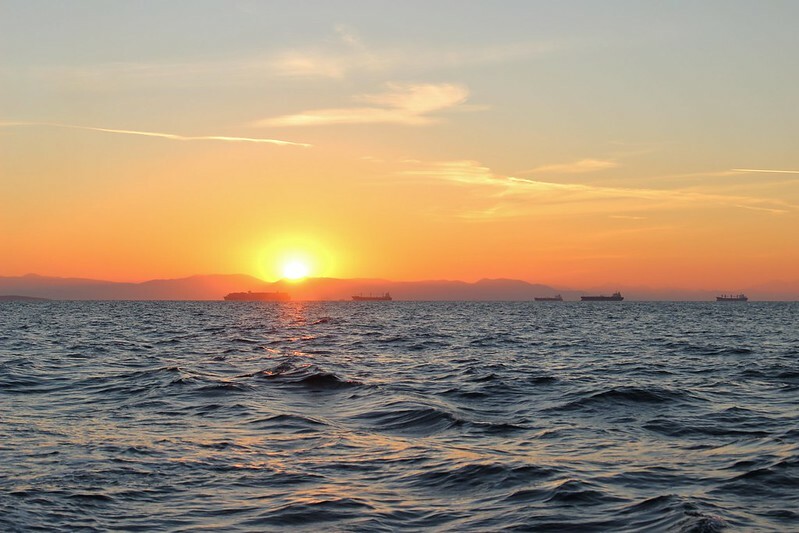 Memorable moment: My first TBEX pre-tour was a sailing trip to the Aegina island (provided by the Grazy Travel). The most memorable moment was on our way back, when we got to witness an incredible sunset over the sea. It lasted so long, chancing from mild pastel colors to vibrant orange, and I just kept shooting photos and oohing. 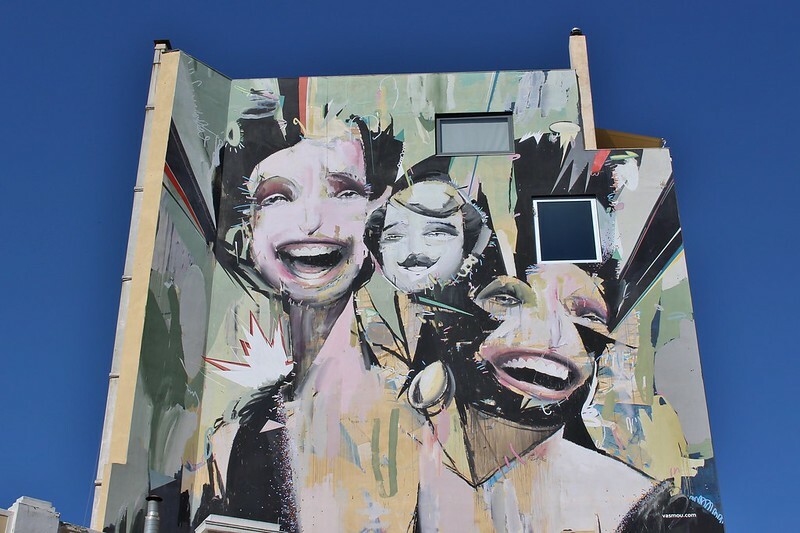 Surprise of the week: So much graffiti in Athens! It's everywhere. Walls, light posts, bus stops covered in writing and colors. But it's not only scribbles, there is also plenty of very talented street art. The area of Psiri (north-west from Monasteraki metro) is especially good for catching some great pieces. Food love: Greek food is just So Good! I've loved every single dish I have tried here so far. So simple, so full-of taste. 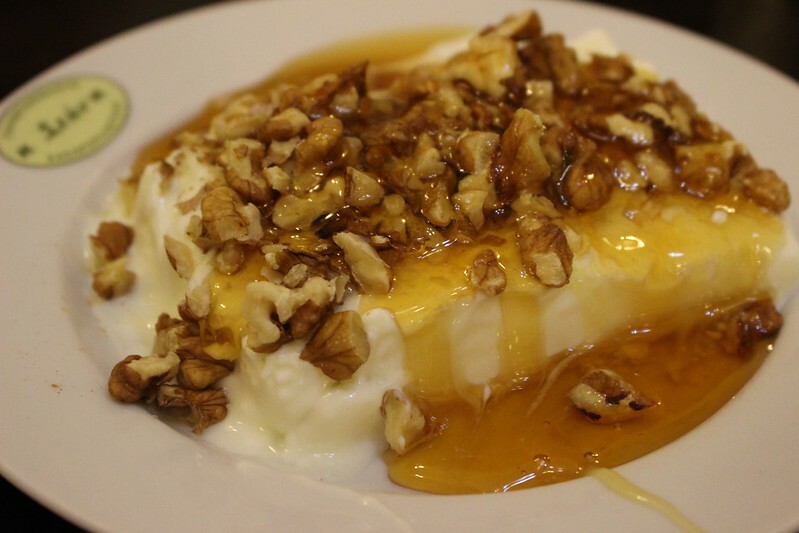 Sweetening my morning yogurt with the honey I bought from a specialised store, grabbing a bit-unhealthy but oh-so-good gyros roll from a corner stall, savoring a dish after a dish of mouth-watering vegetable starters in a tavern. 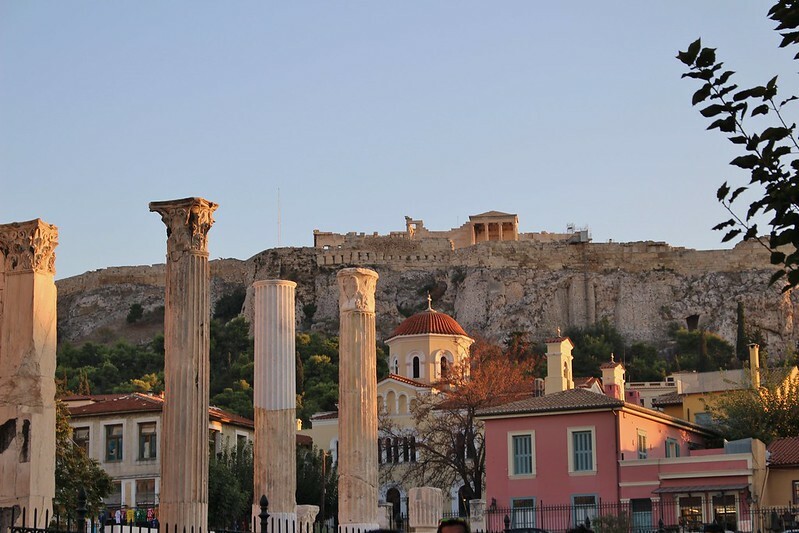 Random thought: There is a rule in Athens that buildings can't be taller than the Acropolis (at least that's what a guide told me on a tour). So from many parts of the city you can see the hill and the ruins on top of it. It's especially spectacular at night when it's illuminated. Workwise: TBEX took all my time from Tuesday on, and Antti got a whole week of uninterrupted, silent working time. We were both happy.